Everyone loves those Apple videos where they announce their new products for us to buy all over again. And again! The mandatory white background, a fun abstract music track, 3D animation of the product spinning in zero gravity and people talking slowly as they stare creepily away from the camera; these are the hallmarks of a classic Apple video. As a company or startup or even individuals who want their products and services to have the kind of impact on the masses that builds trust and brand equity similar to Apple’s (kind of! 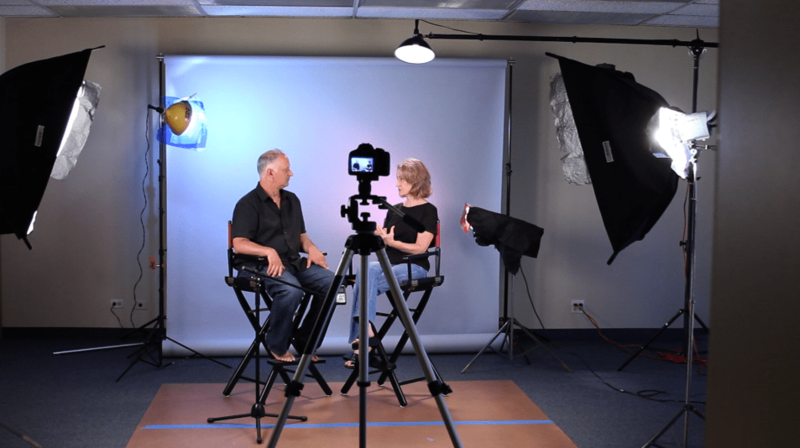 ), a professionally made introduction video is crucial. Now you can try doing it yourself, the tools and the software are easily available, but this is one area where any compromise in quality linearly translates to loss of potential customers. Going to an established studio is one option for those with deep pockets and for everyone else, Videolance offers freelancing videographers to suit your every video needs – be it product videos, corporate interviews or video infographics. Or if you happen to be someone with video making skills then Videolance can be your portfolio to attract clients. Here at StartupDope, we cherish learning about the entrepreneurial spirit of founders and how they face odds in coming up with ideas and implementing them as genuine solution for the world to benefit from. Victor Antiu, the co-founder of Videolance, handles the marketing side of things and recounts how difficult it was to find language and locale specific filmmakers before Videolance, “While developing a marketing campaign for a client of mine, I realized we could use an introductory video. Since this was a Romanian product, we needed someone who could animate over Romanian voice-over. This proved surprisingly difficult. It took over a week to find just 3 specialists. And even then they were either too expensive, unavailable or difficult to work with”. This provided an opportunity that lead to the creation of Videolance. But the fight was not over. Leading the charge at the code development front is Costin Voicu, co-founder, who had his own demons to exorcise. “Estimating development tasks and their timeframe proved to be an uphill task because we started with a new development framework. Building the databases within this new framework took a lot longer than anticipated”. Any programmer who like to stay on top of the latest trends in web development frameworks (like Ruby on Rails or Express.js) could relate to the burden of being an early adopter of an unproven technology with only GitHub popluarity to its credit. Yet Mr.Voicu was determined not to make Videolance just another marketplace and the effort shows in the website’s overall usability and responsiveness. Other than these two, they have Mircea Iancu for front facing designing and Oliver Auerbach and Gabriel Cotruta, both former CEOs of international companies, backing Videolance as advisors. Social network was all the rage in the first decade of 21st century, but the future is video and augmented reality. Google has YouTube, the biggest and the most popular video serving site, but others are not sitting idly. 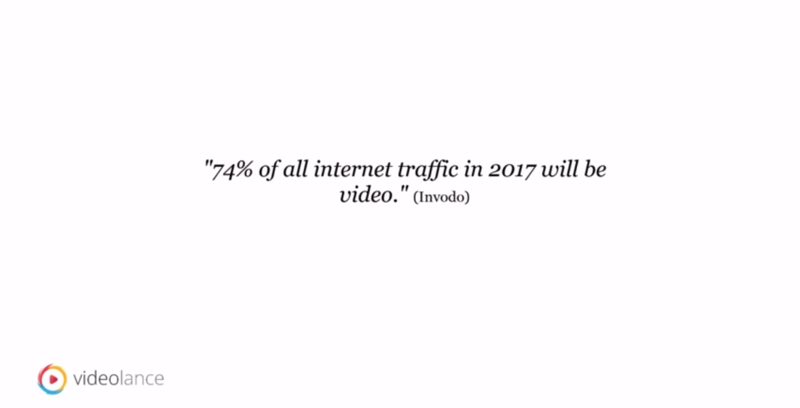 Big internet companies have realized the tremendous market for video content and are all gearing up to launch or enhance their video services. Facebook is pushing for big changes concerning video ads and yahoo is looking to revamp the popular micro-blogging site Tumblr to be more video-centric. “Sights, sound and motion can pull on heartstrings and deliver a message much better than pictures or text”, says Victor. If you have a product on the market and haven’t yet invested in getting a promotional or instructional video of it online, the time is ripe. 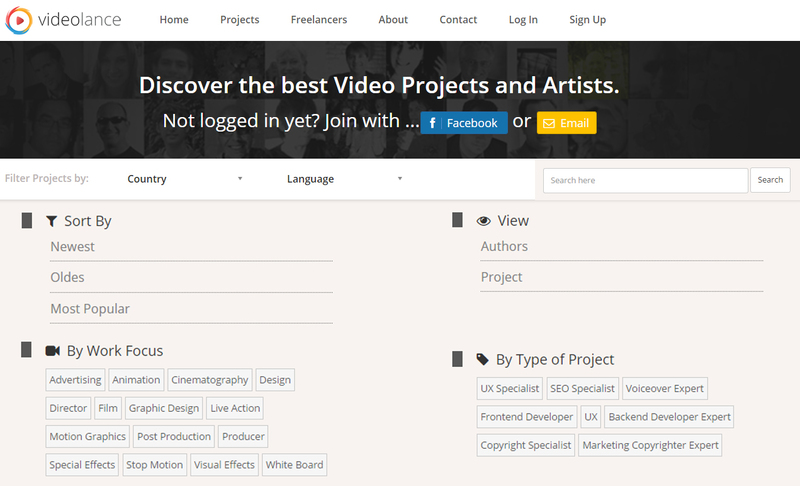 As a freelancer you are able to search for your projects by country or language. And as someone in search of a freelancer, you are able to dial-in all of your requirements thanks to the helpful search filters. Videolance’s dual marketplace strategy of connecting freelancers with businesses and vice versa depends a lot on video artists taking up this platform to showcase their work just as graphic designers use Adobe Behance, “The portfolio showcase section will be the heart Videolance and it’s essential we get it right.”, Victor believes the expansion plans for Videolance depends mainly on growing its user base of video making talents from all over the world. The service is free but in closed beta so if you are a freelancer or have a project to offer, then send an email to Mr. Antiu at victor.antiu@videolance.com and mention that you are a reader of Startup Dope for an exclusive early look! HealthQuickly, Inc Is Here To Revamp Traditional Healthcare Services! Make Your Cab Hailing Process Smarter With Scoot! Learn quicker and get smarter at Howww.to! In need of Home made food? Dabbagul is here.